About Us - York Haven Fabricators, Inc.
York Haven Fabricators, Inc. is a state-of-the-art sheet metal fabrication and machining company. This family, small woman owned business is now under 2nd generation leadership. York Haven Fabricators (YHF) was established in 1998 by Henry Shefet as a Division of Daisy Data (a ruggedized computer manufacturing company) which he founded in 1982. In 2001, York Haven Fabricators became its own company. In addition to servicing Daisy Data Displays, York Haven Fabricators has over one hundred (100) customers in a variety of markets, including military, medical, lighting, automotive, packaging and energy industries. 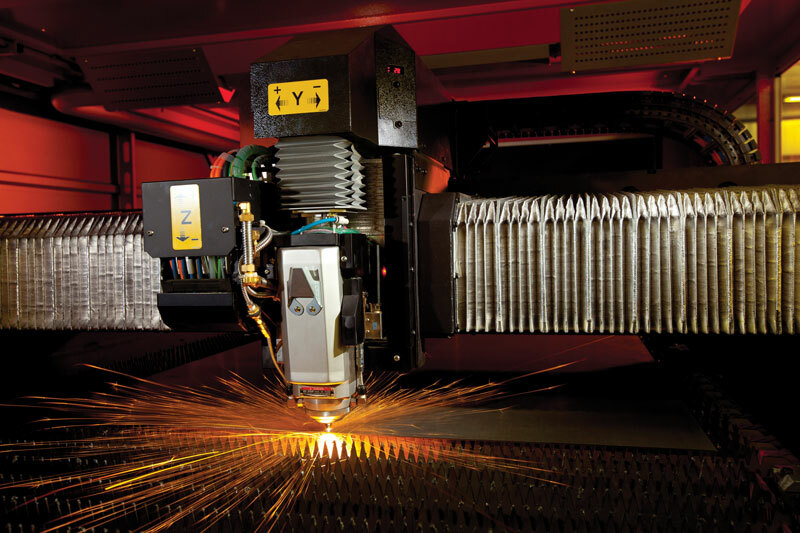 York Haven Fabricators is your one stop ISO 9001 Quality Management System certified shop for turn-key Metal Fabrication, specializing in rapid prototyping, production runs and quick turnaround products. We partner with our clients throughout the entire life cycle of their project, from early design consultation and prototype development through the realization of the final component or assembly. From the very beginning of the process, York Haven Fabricators utilizes computerized real-time MRP tracking and scheduling software. Work orders are tracked with a barcode system which efficiently routes your job through our facility. York Haven Fabricators’ 70,000 SF facility houses factory maintained state-of-the-art equipment, the latest design software available, and some of the finest mechanical engineers and sheet metal experts in the industry. Additionally, York Haven Fabricators offers blanket order programs to support Just-in-time (JIT) needs of our customers, which translate into cost reduction and short lead times. CONTACT US TODAY and your next project will be of higher quality, more accurate, easier to manage, delivered on time and overall more efficient. Visit York Haven Fabricators and experience our professional service.